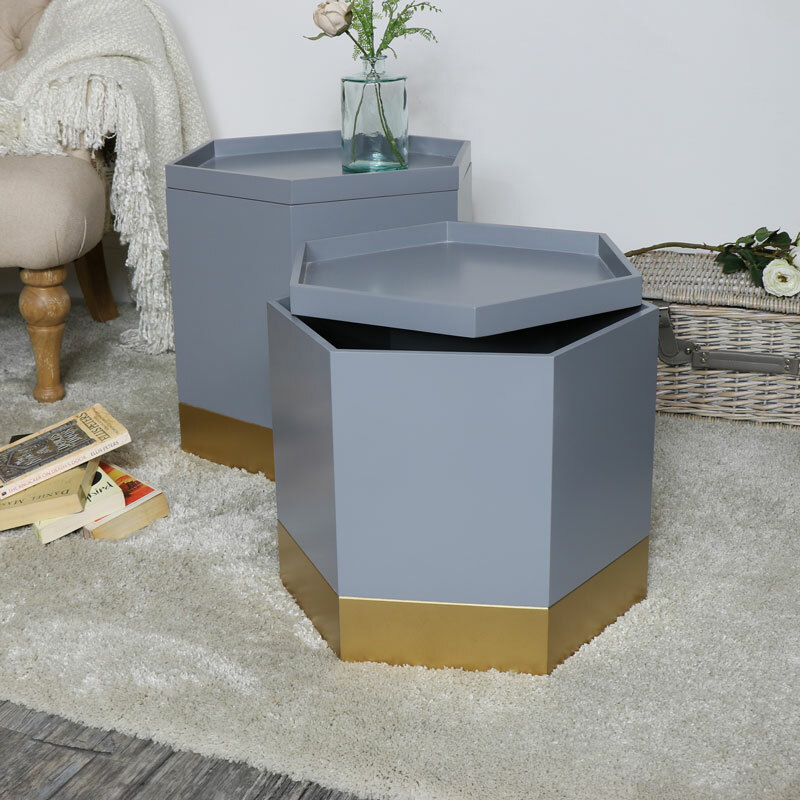 Pair of grey & metallic gold hexagon shaped occasional tables with storage. Ideal minimalist style for Scandi, modern & contemporary living room home decor. Each table also comes with hidden storage for an even more practical use. Stylish addition to any home, also comes in black and pink. Fantastic idea for childrens bedrooms, can be used as a set or individually. 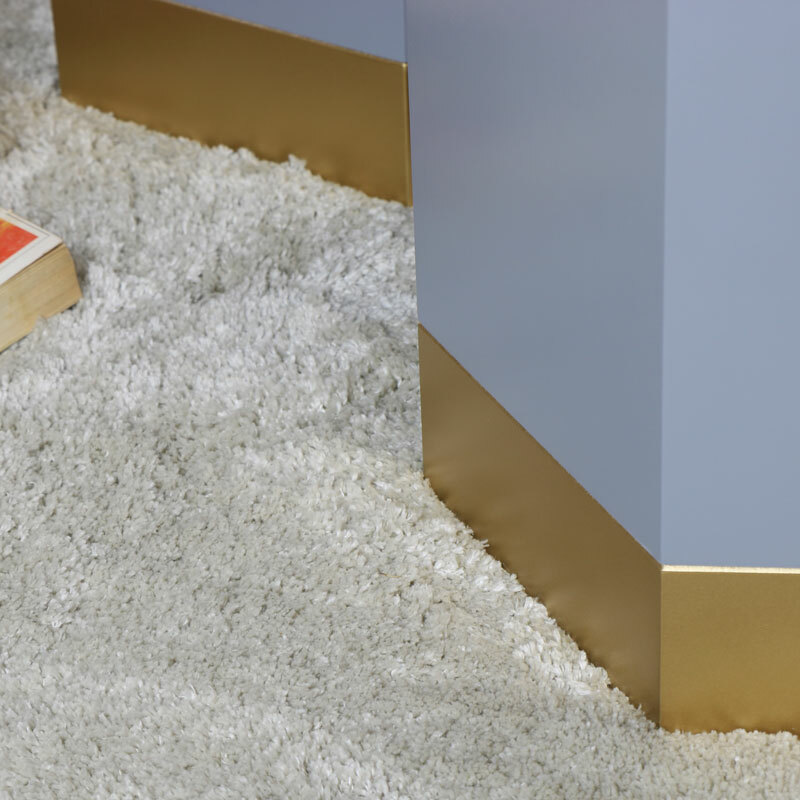 Pair of grey & metallic gold hexagon shaped occasional tables with storage. Ideal minimalist style for Scandi, modern & contemporary living room home decor. Each table also comes with hidden storage for an even more practical use. Stylish addition to any home, also comes in black and pink. Fantastic idea for childrens bedrooms, can be used as a set or individually. 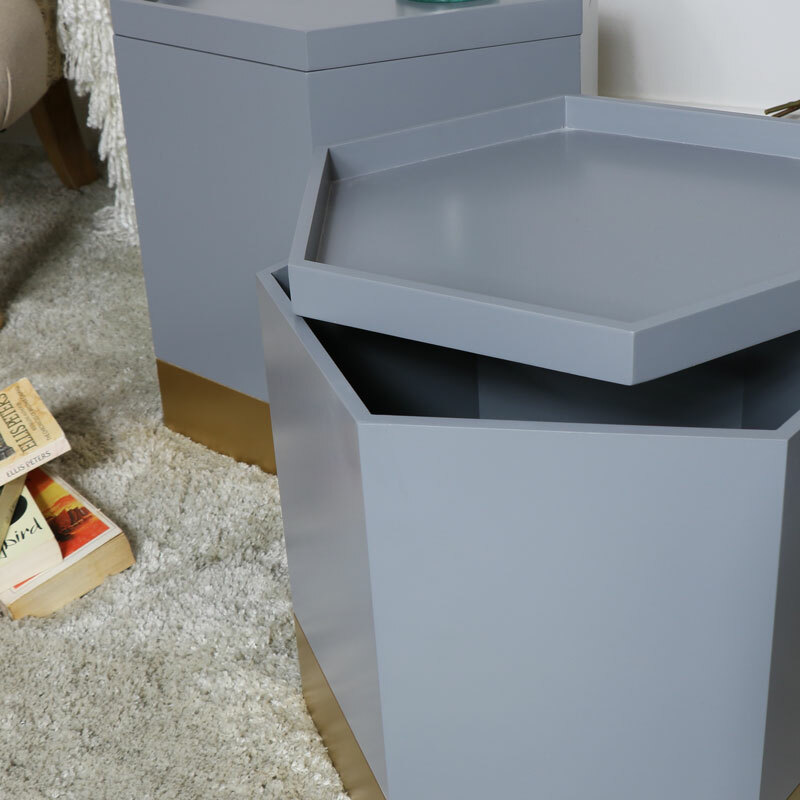 Constructed with hexagon shaped wooden base, painted in a pale grey and metallic gold with lift off grey lidded top. Take a peek at our extensive range of side, occasional and end tables and accessorise your home perfectly. Offering a fantastic choice of sizes, styles and colours.